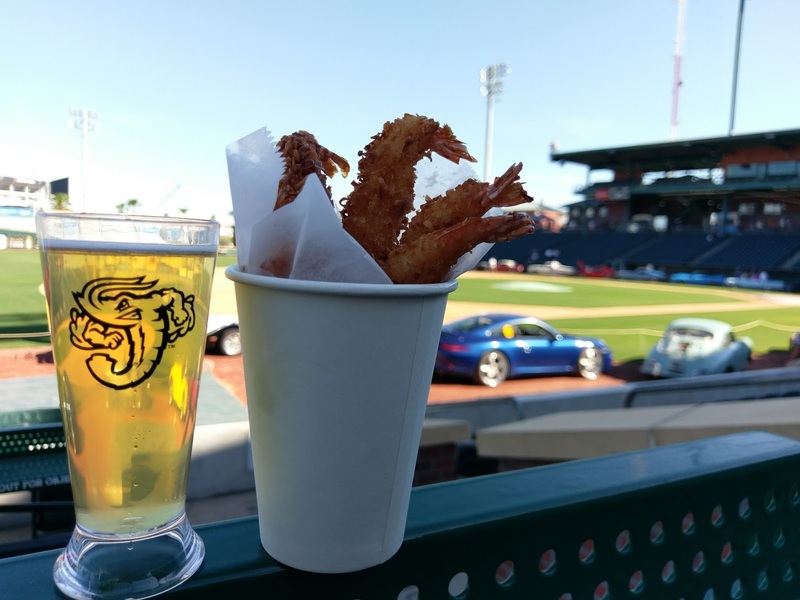 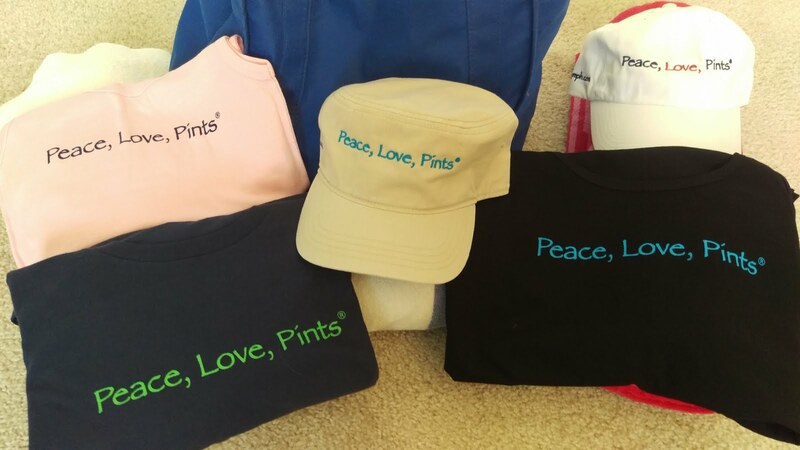 BrewNymph®: High Tailin': Jax Jumbo Shrimp Swing for the Fences on Opening Day! The "Shrimp & Suds" Craft Beer Fest gave attendees an early look at the ballpark all decked out for the first time in Jumbo Shrimp logos. You might notice that the logo is a stylized letter "J." 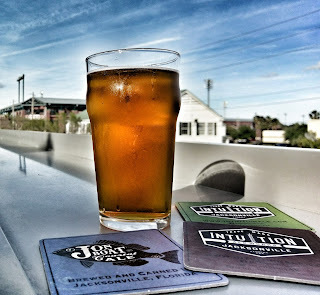 The Craft Beer Fest featured over 50 beers, representing a wide variety of beer styles from local Jacksonville area and Florida breweries, in addition to regional and national breweries. 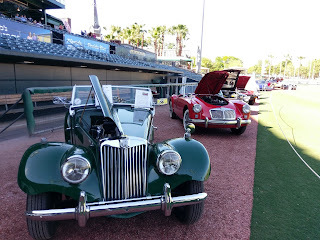 Beer vendors were positioned all across the concession deck area, and it was easy to move between each one. 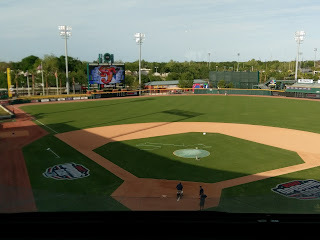 Attendees had a great view of the field while sampling beer. 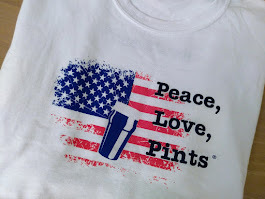 A portion of the proceeds benefitted Jacksonville USO, and a number of USO volunteers were on hand serving beer. 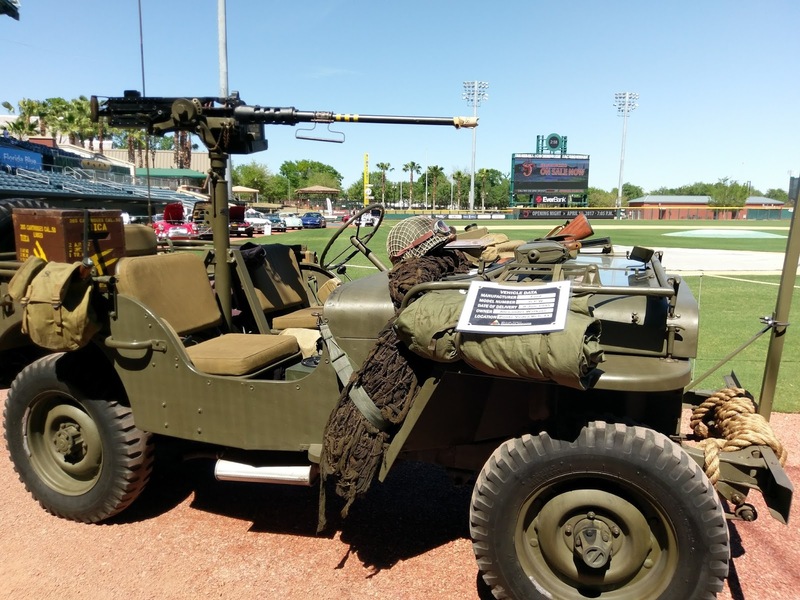 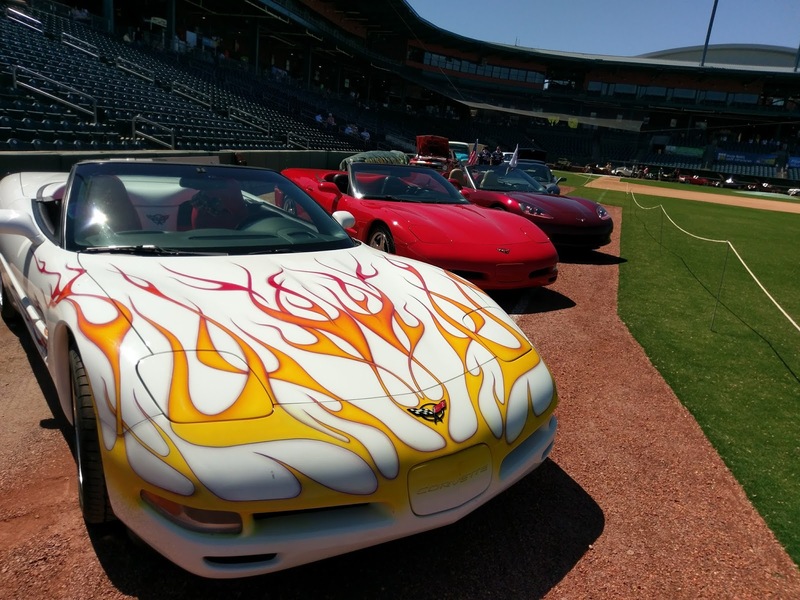 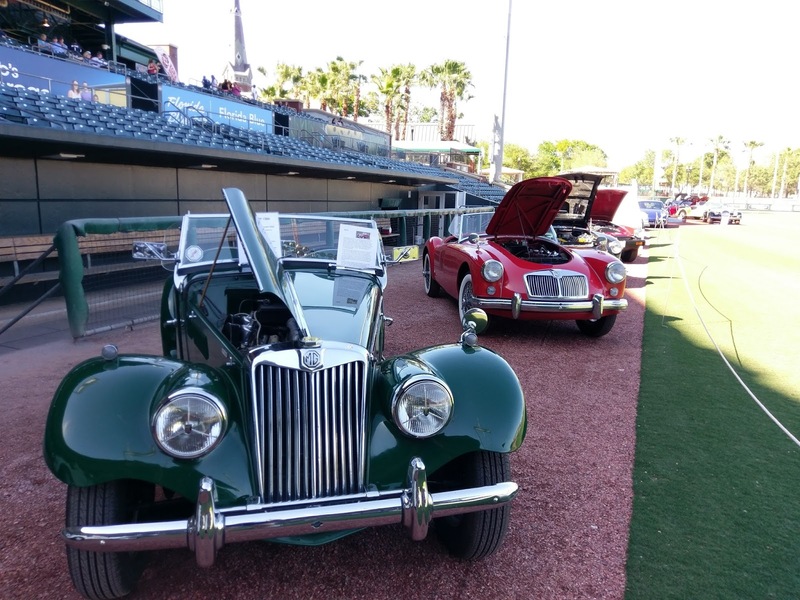 Guests were also treated to a car show by the First Coast Car Council, which showcased rare and vintage vehicles parked along the baselines on the field. The Torpedo Shrimp, coconut-flaked and deep-fried to a crunch, are large, juicy shrimp served up in a cup. 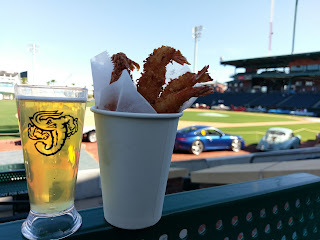 I made my way to the "Hot Corner" seating area along the third baseline and enjoyed the shrimp while watching the cars prepare to leave the field. 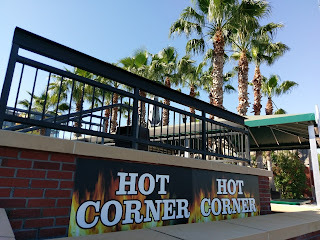 By the way, the Hot Corner is pretty cool, with swivel chairs and ledges to hold food and drinks. 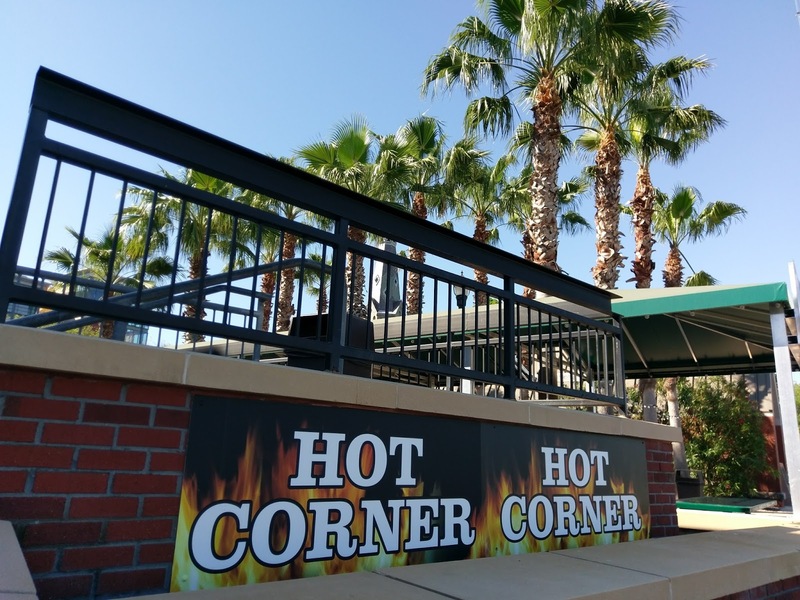 Admission to the Hot Corner includes one beer or soda. 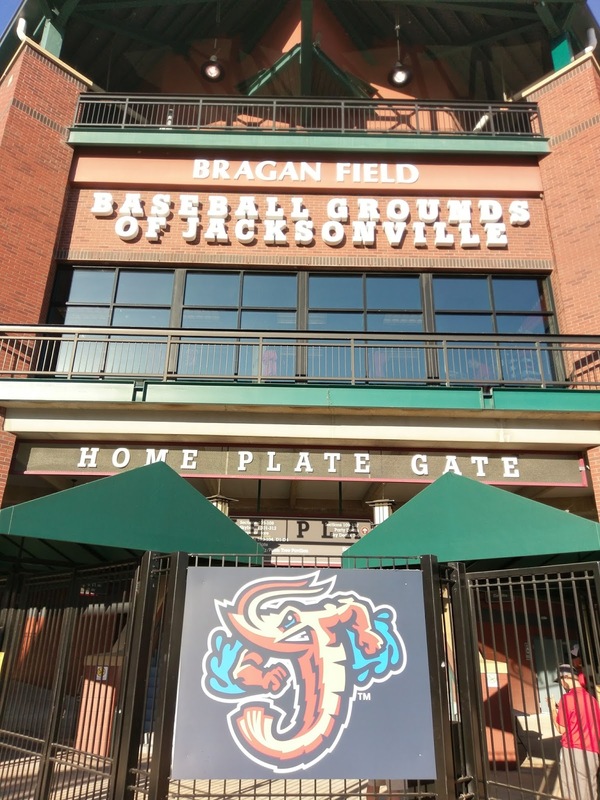 With a 7:05pm gametime, gates opened at 6pm. Fans were already excitedly streaming into the Baseball Grounds. 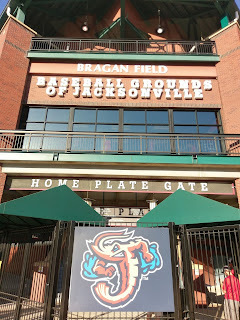 The Jumbo Shrimp had previously published news stories and updates on its website about the concessions and food items. 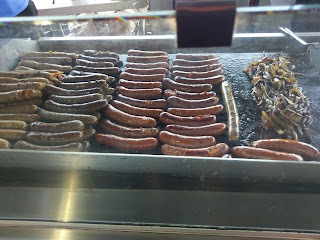 Generally, walk from one side of the concession deck to the other, and you'll find just about any type of food: burgers, sandwiches, hot dogs, BBQ, sausages, chicken, even salads and fruit cups. 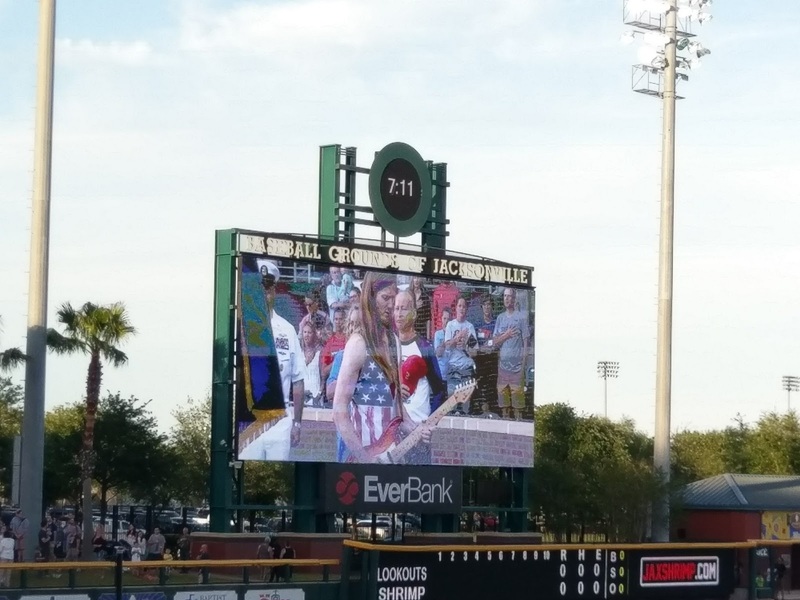 There's even something called the Bold City Burger Pie -- a behemoth of a burger (of sorts) -- made of a one-pound beef patty and two slices of pepper jack cheese, between two eight-inch pepperoni pizzas (that's a mouthful). 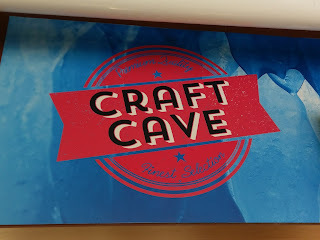 In case that's not enough, there are also dessert items, such as ice cream, cookies, candy, churros. 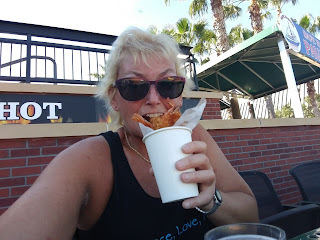 And, yes, there are various choices of shrimp! 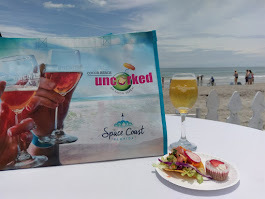 Add shrimp to a personal pizza, or indulge with a "Surf-N-Turf" half-pound burger topped with four jumbo shrimp, among others. Even the Dog House Cart gets into the shrimp act, with the Double Play, a foot-long dog topped with peppers and onions, and sauteed shrimp! 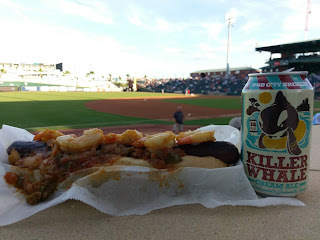 That one paired well with a Bold City Brewery Killer Whale Cream Ale. 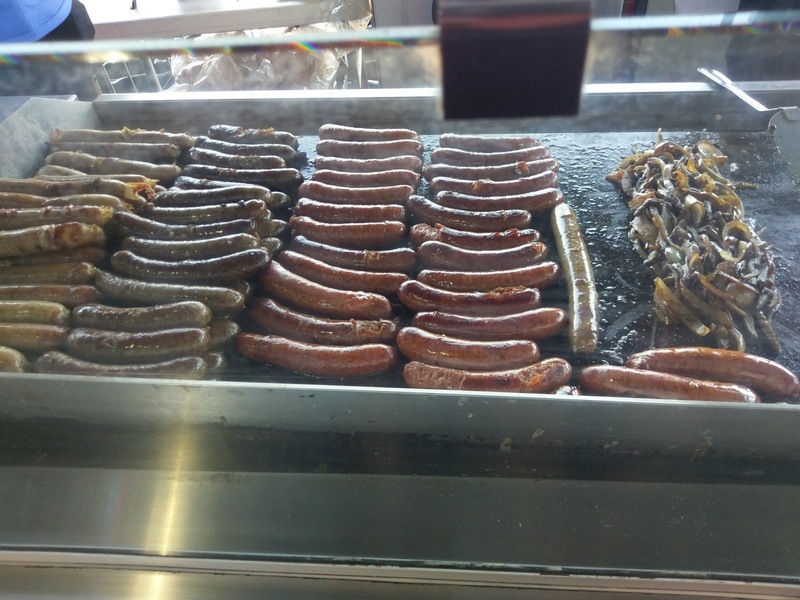 Be sure to grab some extra napkins. 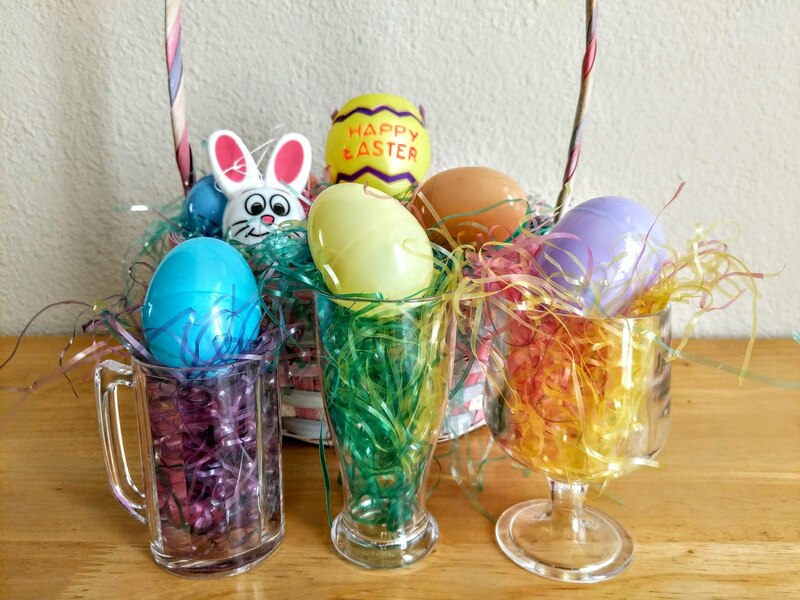 Of course, you'll be looking for drinks. 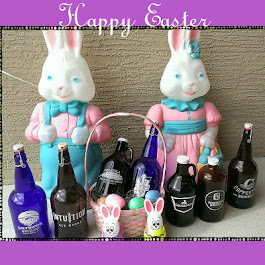 Beer vendors are located throughout the concession deck, serving popular well-known macro beers. 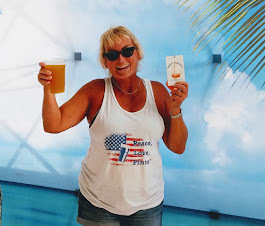 If you're in the mood for something stronger, mixed drinks and frozen drinks are also available. 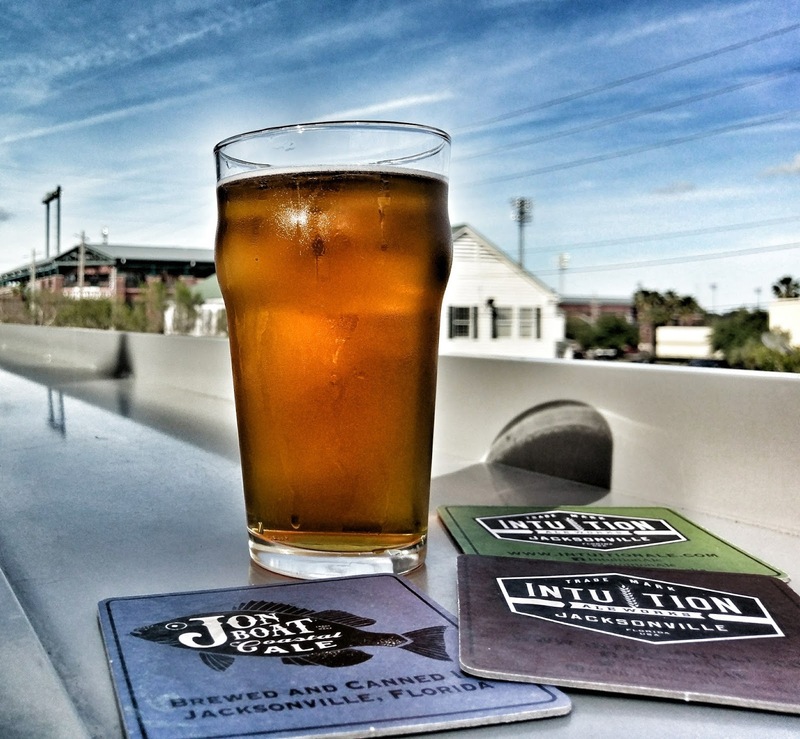 For those seeking out craft beer, Intuition Ale Works I-10 IPA and Aardwolf Brewing Belgian Pale Ale are on draft at certain stations. 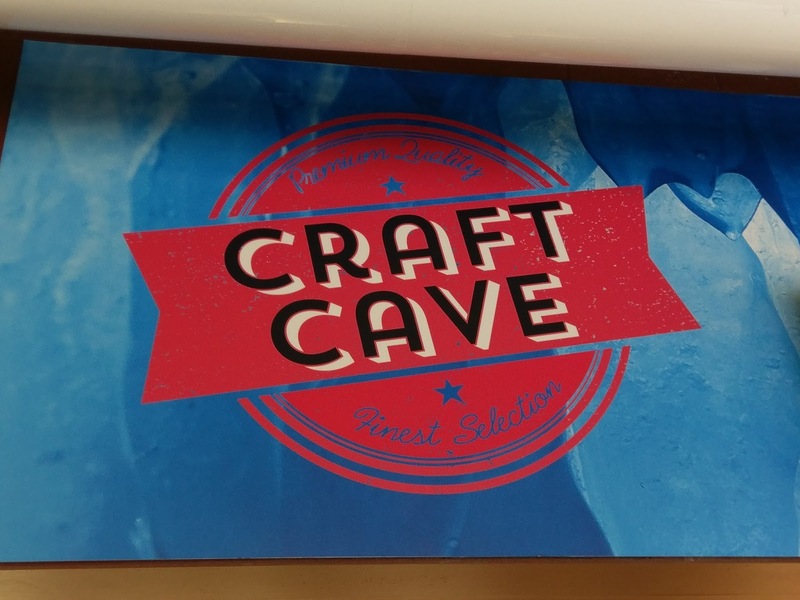 If you're looking for more, you'll find it in the Craft Cave, on the lower level at the third base entrance. 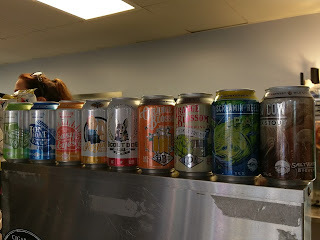 The concession stand offers a number of local, Florida and regional beers in cans, so you'll be able to find one to suit you! And, yes, there was a game going on! 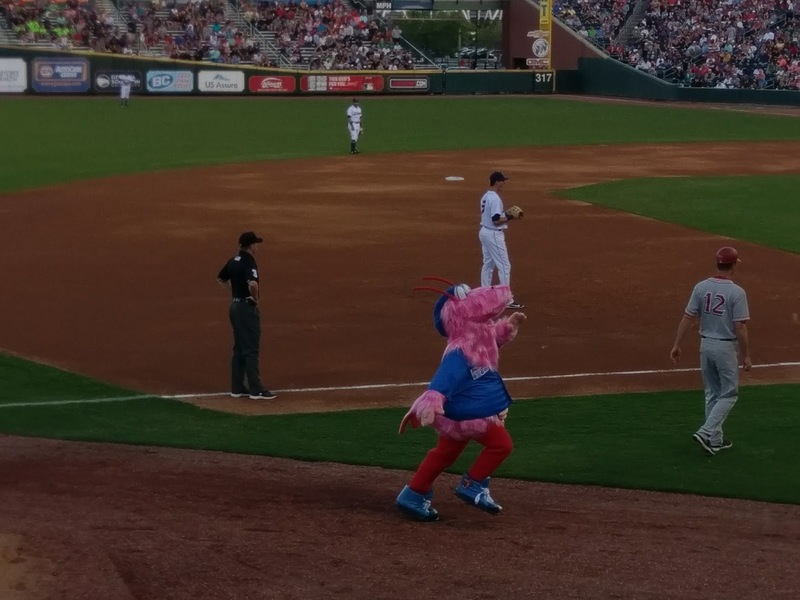 The newly-named mascot -- Scampi -- took the field with the original mascot Southpaw, and the players were introduced amid fanfare. 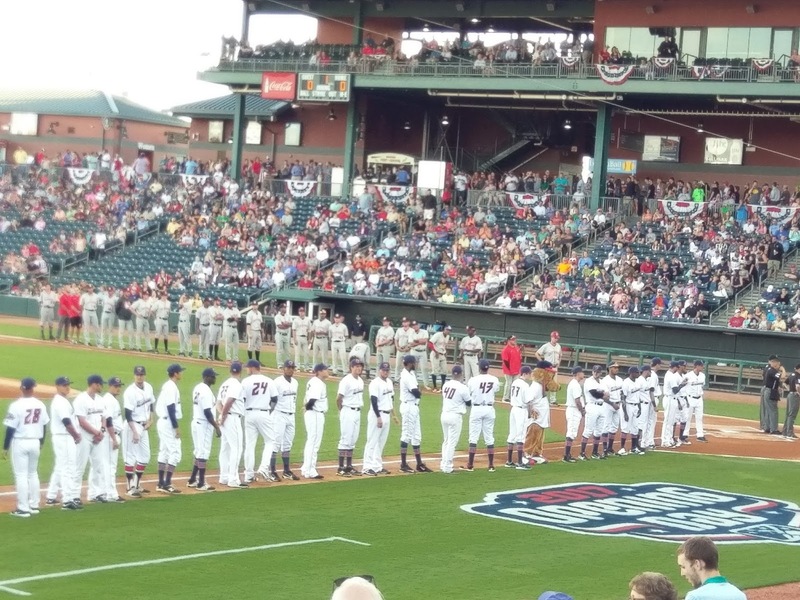 After the National Anthem, it was time to Play Ball! 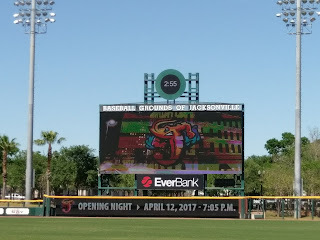 Eventually the sunset made its way to the ballpark. 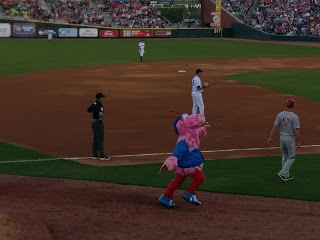 The Jumbo Shrimp won the opener. 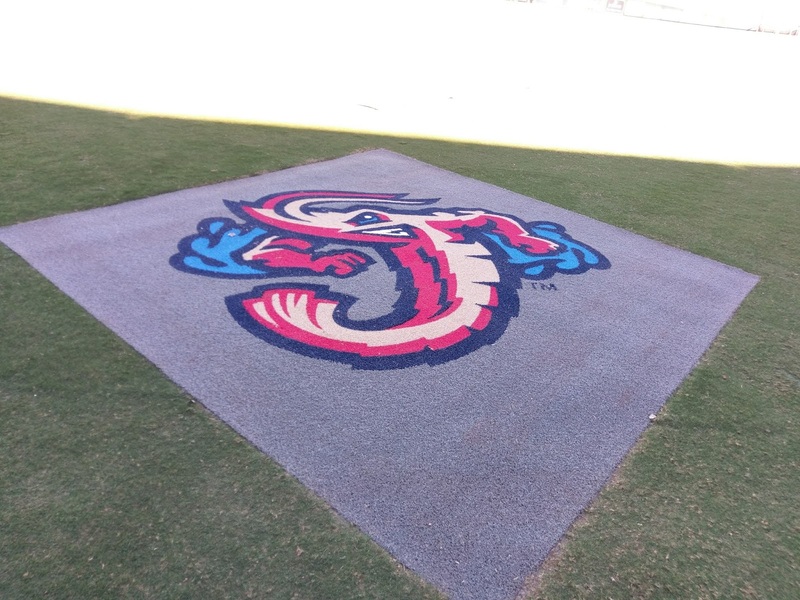 What an Opening Night at the Baseball Grounds with the Jumbo Shrimp! 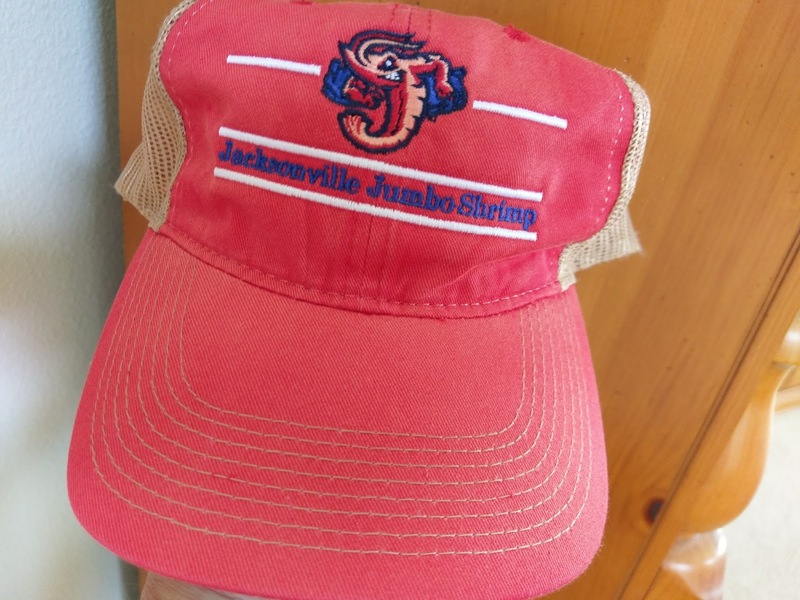 So, cast your net and go shrimpin' this season! 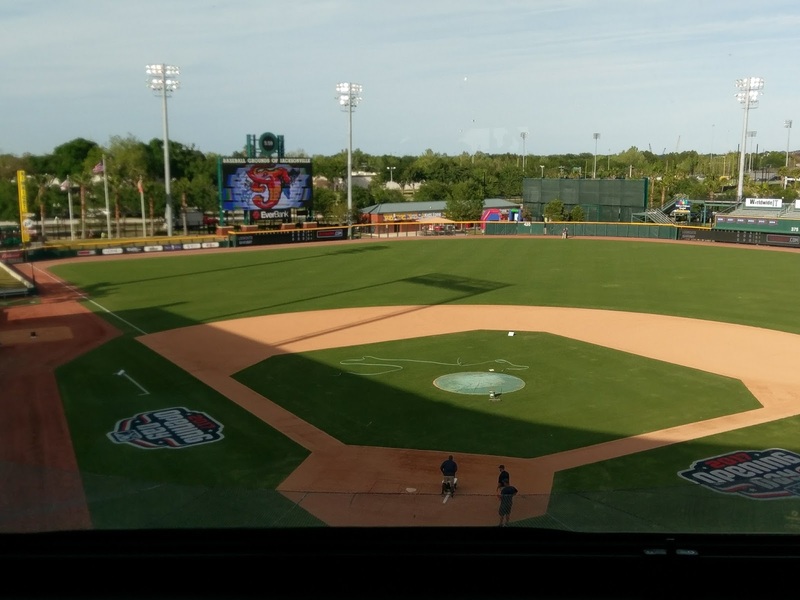 The Jumbo Shrimp games are family-friendly and reasonably priced, and the venue offers a number of seating and concession options. 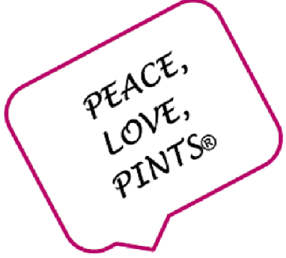 Thursdays are "Thirsty Thursdays," when fans can purchase certain 12-oz beers for $1 or 24-oz. 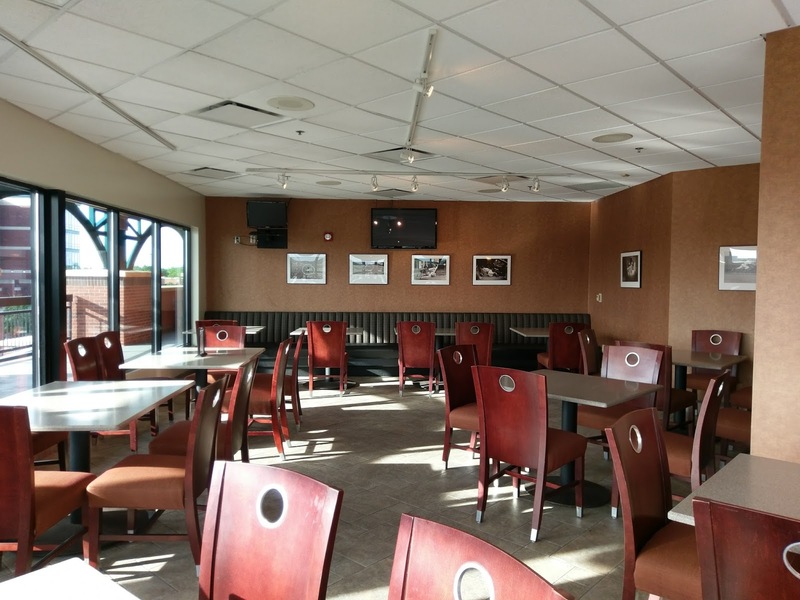 beers for $2 at the new Tiki Terrace on the left field berm, at two locations in the right field bleachers, and at the Oasis concession stand along the first baseline. 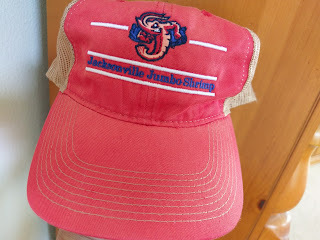 All of the promotional events are listed on the Jumbo Shrimp website. 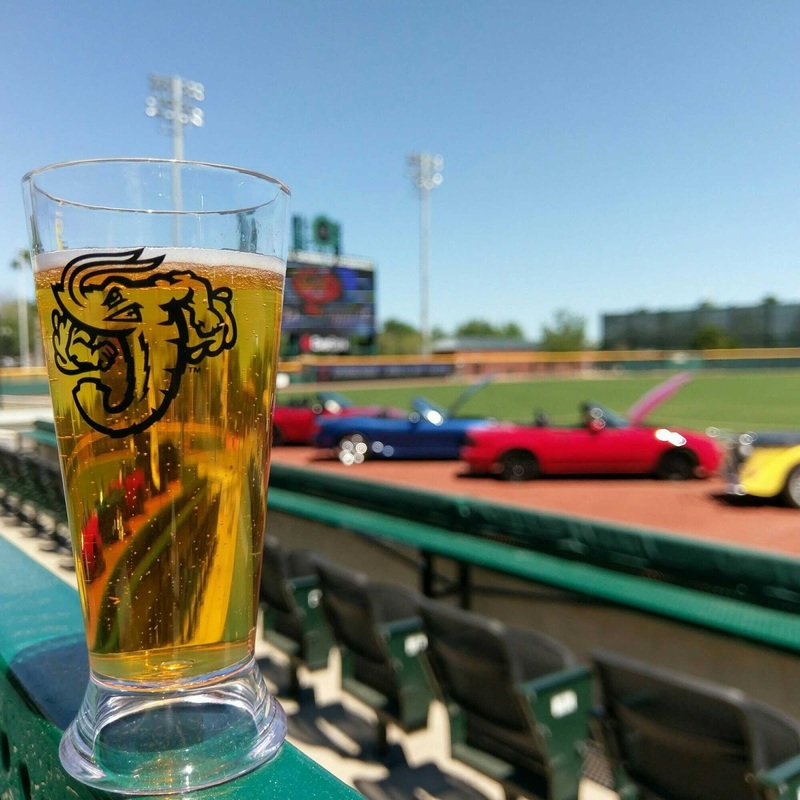 Beer and baseball, that's a winning combination! 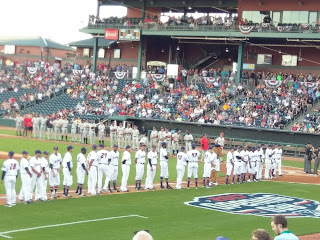 Had a great time out at the ballpark, and I'm looking forward to doing it again! 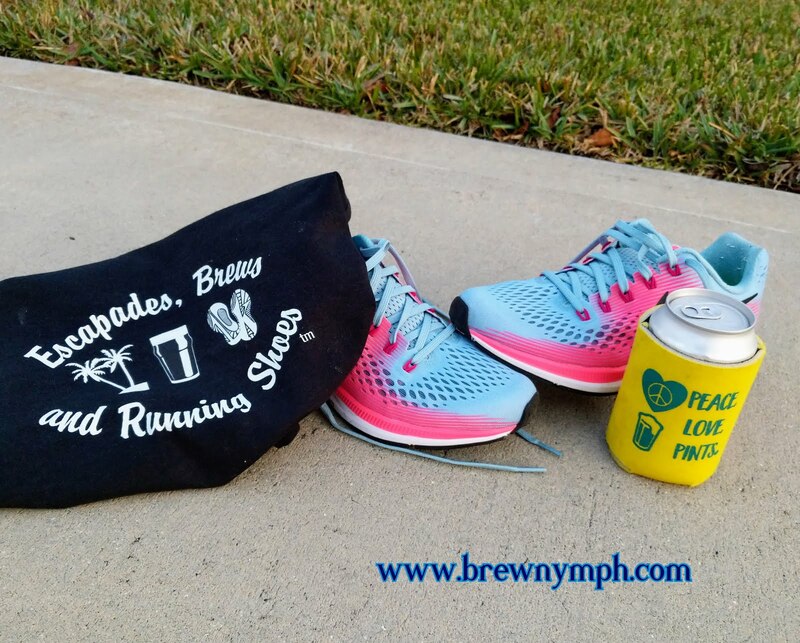 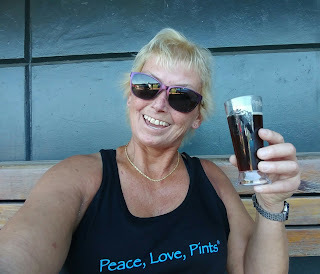 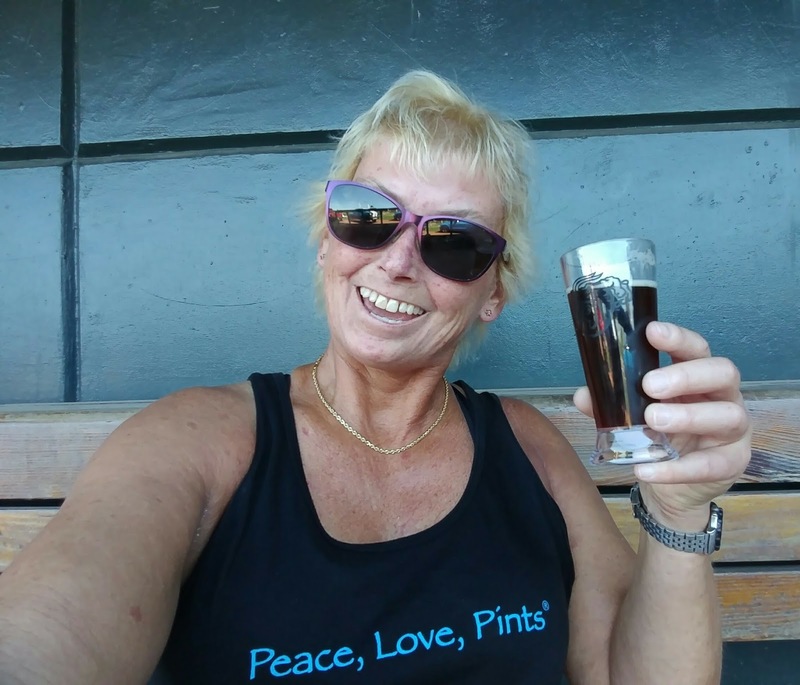 In the meantime, be sure to check out the events pages here on brewnymph.com for beerfests and beer events all around Florida, and tappings and such around the Jax, Jax Beach and St. Augustine area. 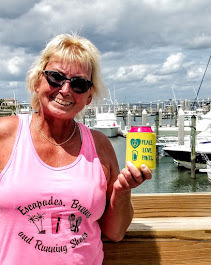 See you at a beer somewhere in Florida!